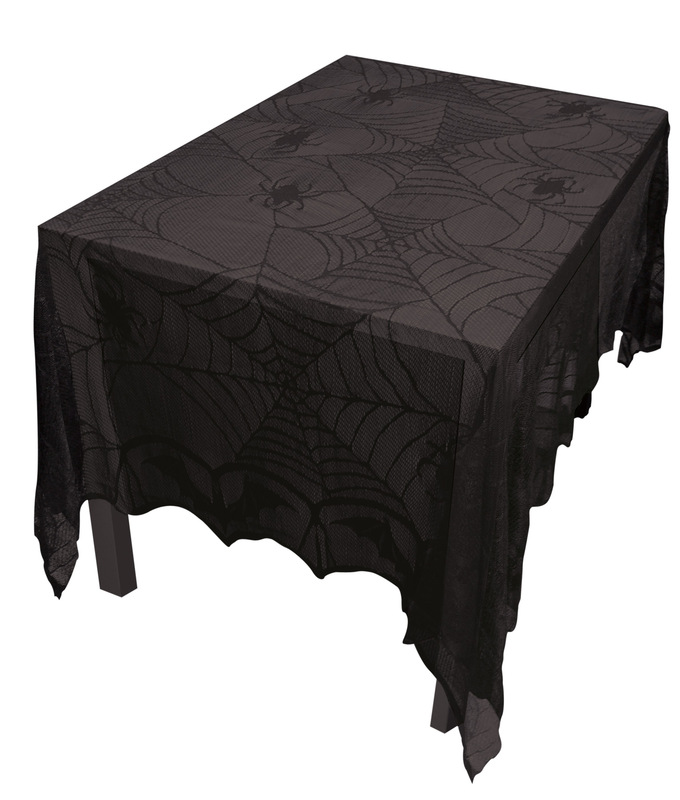 Woven polyester lace tablecloth with bat and spider web pattern. Black. Measures 48 in. by 96 in. Black tablecloth. 100% polyester. Rectangle. Care instruction: hand wash in cold water with mild soap, do not bleach, lay flat or hang to dry, do not iron. Includes (1) tablecloth.